As part of its innovative and technical excellence approach, Schaeffler India Automotive Aftermarket division has introduced Parts4U application. This interactive application is specifically developed for mechanics and retailers to get exclusive access to vehicle parts, training sessions and repair solutions at their fingertips. Compatible with iOS and Android, Parts4U has been developed keeping in mind the challenges faced at the garages by the mechanics and retailers. Repair work is becoming extensive and requires an understanding of the entire vehicle systems. 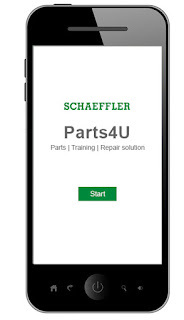 As smartphones are increasing by the day, Schaeffler’s Parts4U will find its way on every mechanic’s mobile phone who wants to leverage technology for success. Most often finding the right parts for vehicles during a repairing task is the most challenging; most of the mechanics don’t have access to the right information. It can take them weeks or even months to find the exact part, not to mention, countless hours of learning to understand the fitment and applications. With so much competition and need for fast-paced repair solutions, the best way to help these garages& retailers is to offer assistance in terms of information, updates and repairs. Mechanics can find the right fitment for their vehicles, and increase delivery efficiency hence accelerating growth in business growth. In such a scenario, Parts4U comes as an incredible tool to help mechanics and retailers throughout their business functions. For starters, all app users get information about the parts and repair solutions on the go. Users will be able to search access and download all product and its application details instantly at the touch of a button. 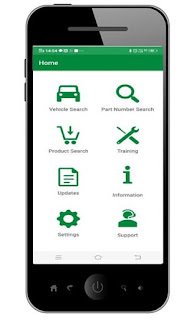 Since Schaeffler has designed the app, it will give users a chance to explore the entire range of Schaeffler products that are the latest entrants in the market. Furthermore, having this kind of exclusive access can give many mechanics and retailers a first-mover advantage wherein they can buy the latest Schaeffler products and move ahead in the game. Training is another aspect that most mechanics tend to put on the back burner due to the workload or lack of accessibility to effective training solutions. With Parts4U, users get access to video tutorials, specifications, service information, function tests and failure diagnosis documents. Schaeffler believes in building the skill-sets for the future with the latest technologies and inventions. The app also has complete tutorials for repair know-how. Since the number of vehicles is constantly on the rise, a move like this can help mechanics and retailers learn all the tips and tricks of the trade at their fingertips. 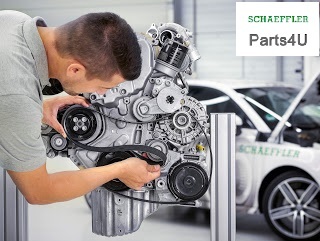 With Parts4U, Schaeffler is going a step ahead and offering garages an exclusive access and assistance to use their parts and services, anytime, anywhere. The full range of aftermarket products are available on the app along with easy and multiple search options. For instance, a mechanic can search for the vehicle application, Part No. (OE &SchaefflerAM Part No.) and product category as per his current vehicle repair task. The app contains information for all vehicle variants – right from light or heavy commercial vehicles, trucks or trackers to passenger cars. Once the mechanic is able to find the right part, he can also get access to other relevant product details like MRP, product fitment videos and technical documents to make the repair or replacement smooth and efficient. In case of any queries or doubts, users can also quickly contact Schaeffler employees and distributors as information for regional associates is available on the app. Apart from this, users also get access to the latest news, segment-wise price list, brochures, NPR list, videos and more on Parts4U. Moving forward, Schaeffler aspires to reach out to all the garages, retailers, mechanics and servicemen who work with vehicles for their efficient road journeys. By downloading the app, the company believes that they are giving their partners the key to do better business. In these digital times when mobile is the future, such a well-thought mobile application will definitely earn Schaeffler lots of appreciation and accreditation from their distributors, suppliers, employees, partners and customers. As the leading automotive supplier in India, Schaeffler’s mobile app will definitely gain from the incredible potential offered by Indian markets. Not to mention, the innovative spirit of the company will work towards constantly improving and enhancing the application based on user feedback using outstanding quality and latest technologies. This will help Schaeffler stay relevant, cater to evolving customers and build their network even further with regional users.